I don't have a post ready for this week, but I came across this great deal and had to share it with you. 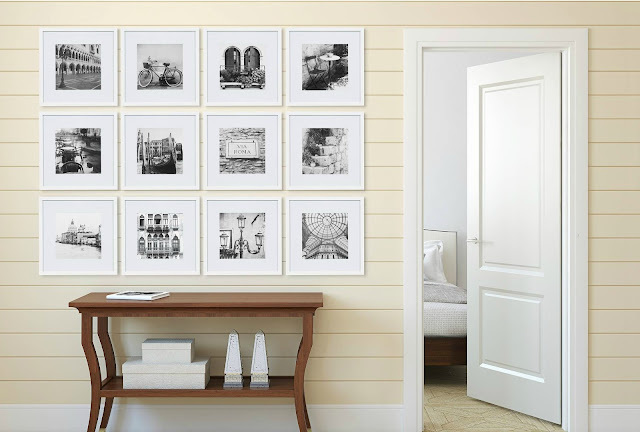 If you've been thinking about creating a gallery wall somewhere in your home, this deal from Target would be perfect, especially if you have a large area to fill. There are 12 white frames, each frame is 12 x 12 and they are matted to 8". The sale price is $97.49 for the kit. I actually love how they look with the black and white pictures, and colored prints will be beautiful against the white mats and frames. Get all the details here and happy Friday!